Oakley M Frame Silver FMJ Black Iridium Sweep Rare!!! Oakley M Frame SWEEP Black Iridium Polarized NEW w/ bag SKU# 11-309 RARE *READ*! 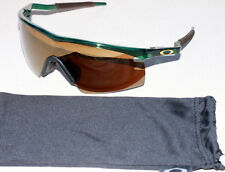 1 product rating - Oakley M Frame SWEEP Black Iridium Polarized NEW w/ bag SKU# 11-309 RARE *READ*!